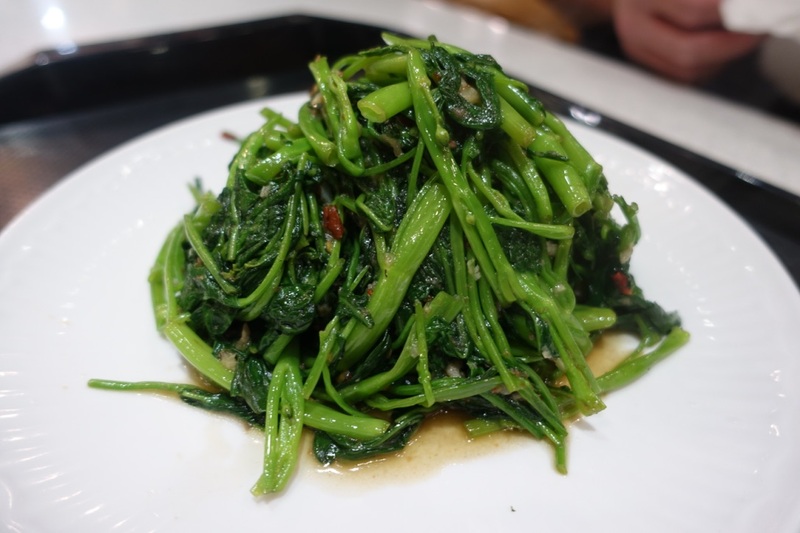 Everywhere you go, seemingly there is something good to eat in Hong Kong – the folk out here know how to do it good, even in the gargantuan shopping malls that seem to be on most street corners. Somewhere in these malls, there is a food court sandwiched in, with plenty to eat and plenty to choose from. In the Food Opera, right by our hotel, there’s Cantonese BBQ, ramen, congee, Thai, wonton noodles too. 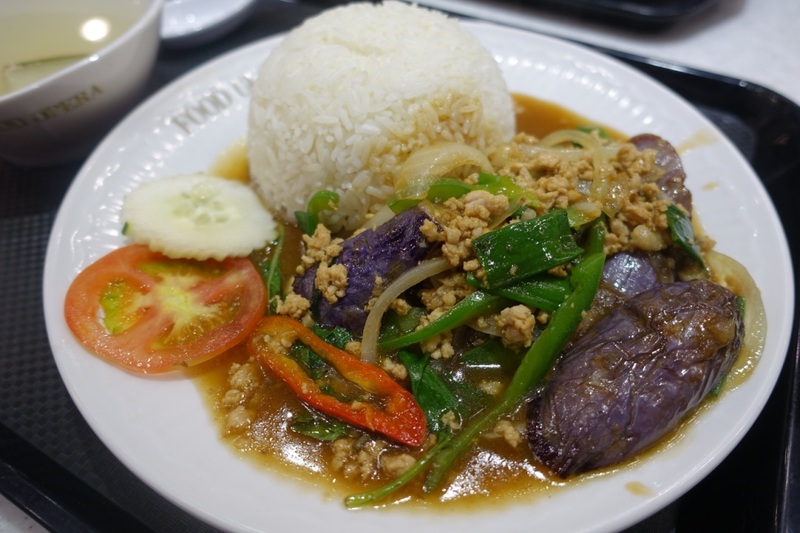 We opted for Thai to change up the palate, naturally. 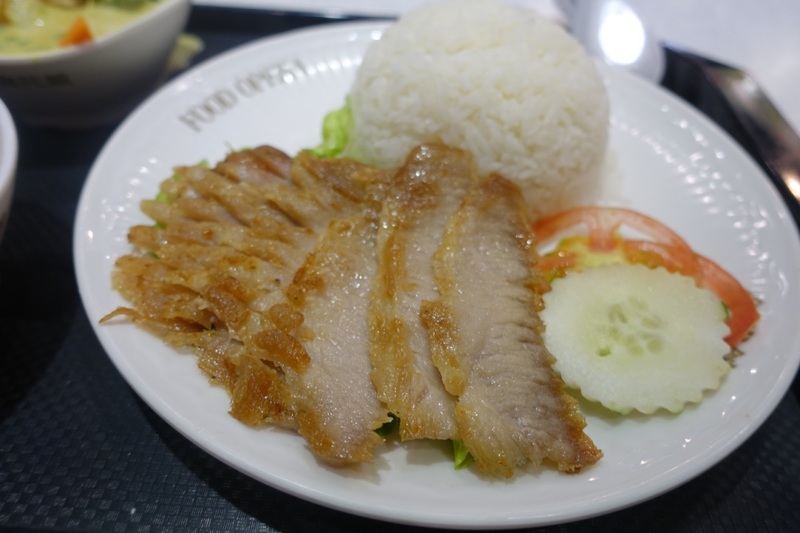 The Thai pork jowl with fragrant rice $53 was a hunk of the animal’s jaw that walked the land gnawing on edibles daily. It was once a powerful muscle. Marinating, slow cooking and roasting reverses this as does slicing thinly against the grain, so you’ll get tender slivers of heaven. Fried wok tossed egg plant with mince meat $50 was decent too, tonnes of flavour in the sauce there – perhaps it was oyster as the savoury-sweet notes suggests. It came with a snowball of fragrant rice ready for soaking. 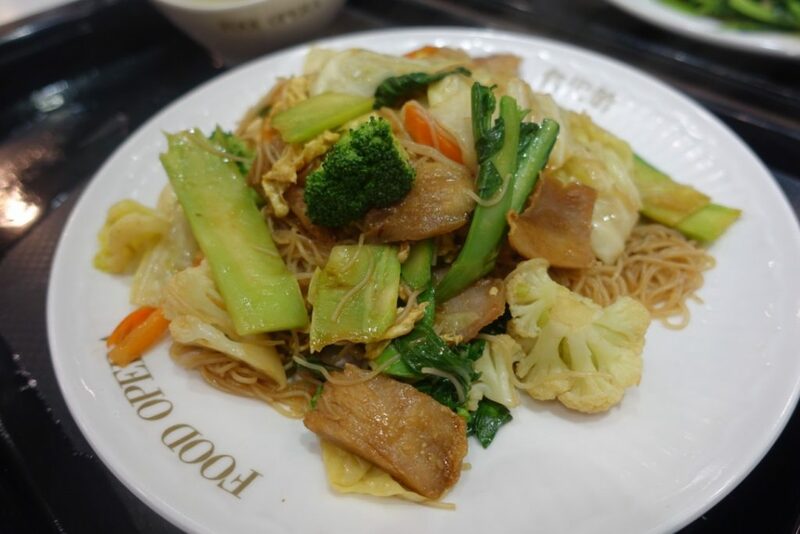 Fried flat noodles in Thai style $51 with pork, had a higher ratio of fresh vegetables – they clearly cared about our five a day. It wasn’t bad, but was a plain Jane if you want me to be honest. 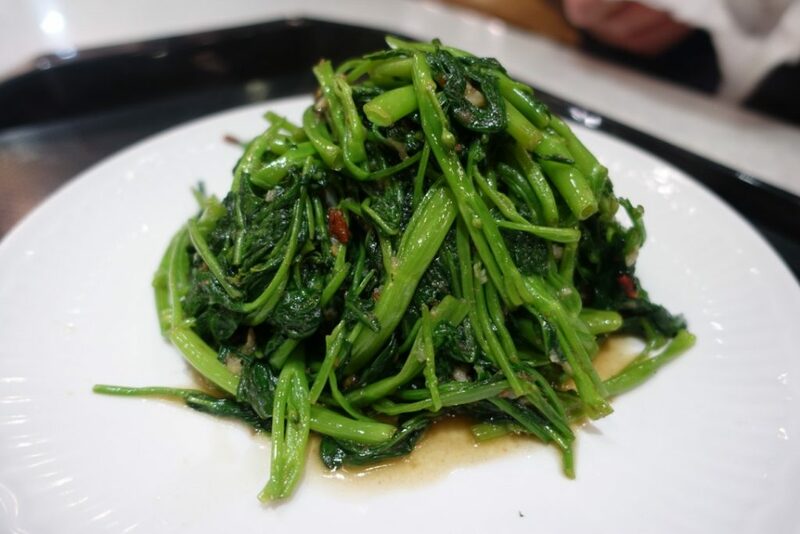 Wok fried morning glory with Belacan sauce $44 came ripping hot from it’s time dancing in the searing wok – all greens should be this delectable. It was easily the best thing here. The good: This meal just sang value for money, hole filling, tasty and ruddy cheap. The morning glory was the thing I’d come back for. 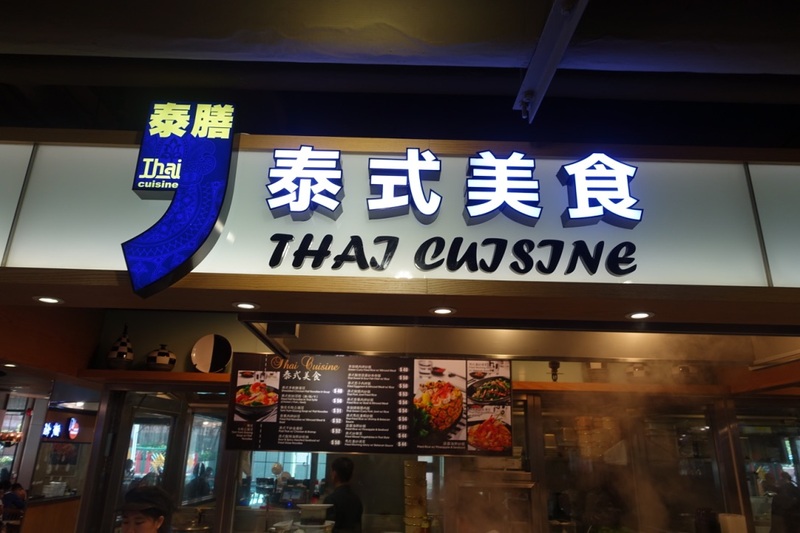 The bad: It was good, but it lacked the robustness of some Thai food I had. You can call it good Thai cuisine for beginners. 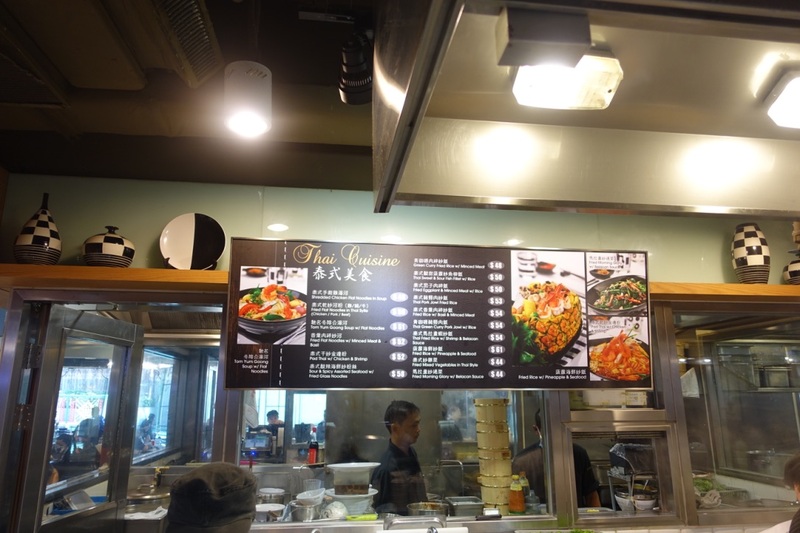 Address: MOKO shopping mall, 193 Prince Edward Road, West, Mong Kok. 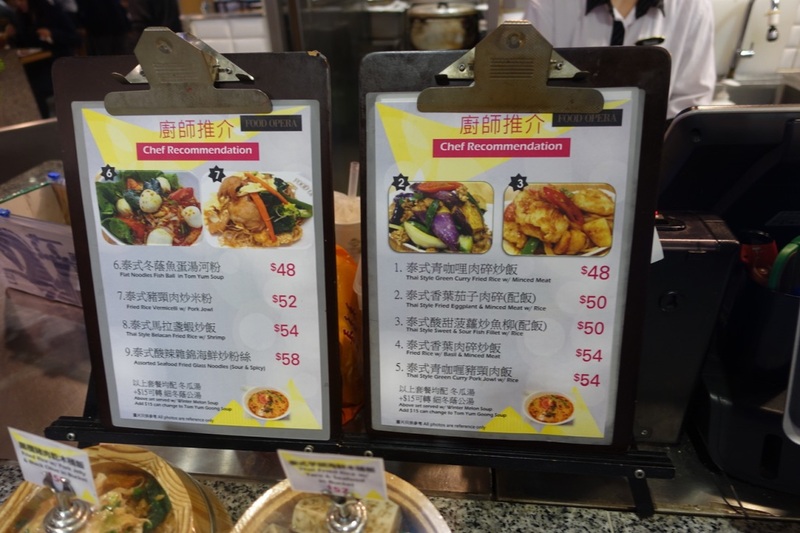 ← Chung Kee Desert Shop Sham Shui Po – It’s Different!